HomeNewsOver The Edge with Habitat! Apex is thrilled to be partnering again with Habitat for Humanity! On Friday, September 22, Tacoma/Pierce County Habitat for Humanity will partner with Over the Edge to present the Habitat Challenge. 76 brave 'Edgers' will rappel 250 feet down The Hotel Murano - all in the name of fundraising to make homeownership possible for low-income families in Pierce County! If you would like to be a part of this wonderful cause and help to send one of the Apex Partners over the edge, please go to http://habitatchallenge17.kintera.org to make a donation. All donations to Habitat are tax deductible and forms are available on their website. Apex will also be donating their time and skills this year on August 12th at the Woods at Golden Given. 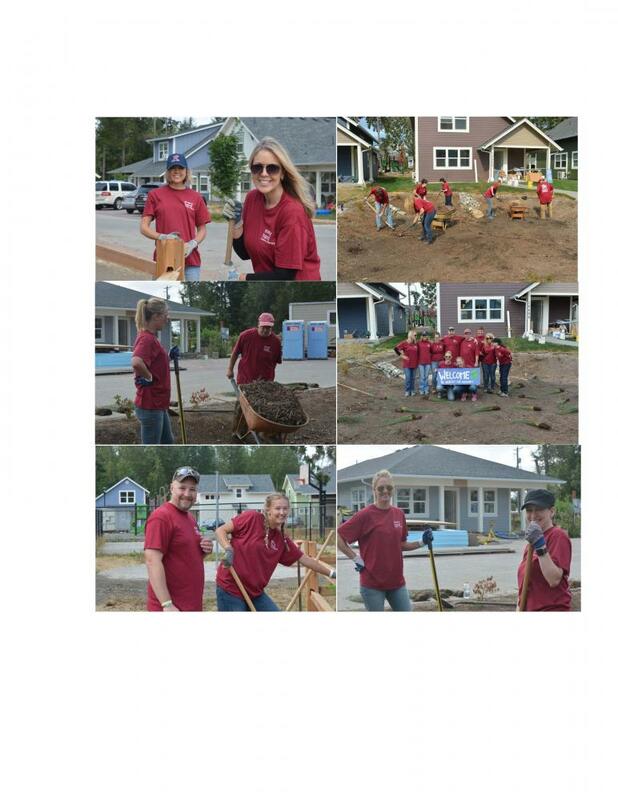 This is a 30 unit community of houses for Tacoma/Pierce County Habitat for Humanity. Apex has been a part of this development since inception by preparing and processing the construction plans and also providing the construction staking. The last two houses are being constructed now and should be completed by this October. In the past, our team of volunteers has: installed siding, painted, cleaned windows, installed roof sheathing, applied interior and exterior sealant, and removed foundation forms. Apex is privileged to be able to participate again this year and do our part to give back to our community.